Is it possible to have RLS symptoms in other areas of the body? Can taking vitamin or mineral supplements help my symptoms? Are there medications that are known to worsen RLS symptoms? Are there exercises that can help alleviate symptoms? What are the side effects of RLS medications? Where can I find a list of support groups/contacts in my area? 1. Is it possible to have RLS symptoms in other areas of the body? Yes, restless legs syndrome (RLS) can affect the arms, trunk or even the face. 2. Can taking vitamin or mineral supplements help my symptoms? If an underlying vitamin deficiency is found to cause your disease, supplementing with iron, vitamin B or folate (as directed by your healthcare provider) may reduce or even alleviate your symptoms. Because the use of even moderate amounts of some minerals (such as iron, magnesium, potassium and calcium) can impair your body's ability to use other minerals or can cause toxicity, you should use mineral supplements only on the advice of your healthcare provider. For more information, please refer to our Understanding Iron & RLS publication available in the Members Only section of our website. As a member, you receive the latest news on advances and treatments, all while supporting research toward a cure. Become a member today. Inside: An overview of the importance of iron and how it can affect RLS. 3. Are there medications that are known to worsen RLS symptoms? Always be sure that your healthcare provider is aware of all the medicines you are taking, including herbal supplements and over-the-counter medications. 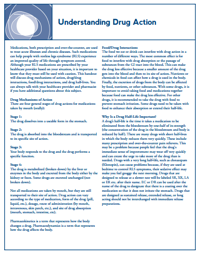 You can also become a Foundation Member today to access our detailed Medications for RLS handout that addresses the several classes of medication that can be used to treat RLS. As a member, you will receive the latest news on medical advances and treatments, all while supporting research leading to a cure. Inside: Answers to frequently asked questions about the medication options available to relieve RLS symptoms. 4. Are there things I should avoid? Some medications, foods and other substances are known to cause or increase RLS symptoms. Caffeine use may intensify RLS symptoms. Caffeine-containing products, including chocolate and caffeinated beverages such as coffee, tea and soft drinks, should be avoided. Alcohol consumption also increases the span or intensity of symptoms for most individuals. 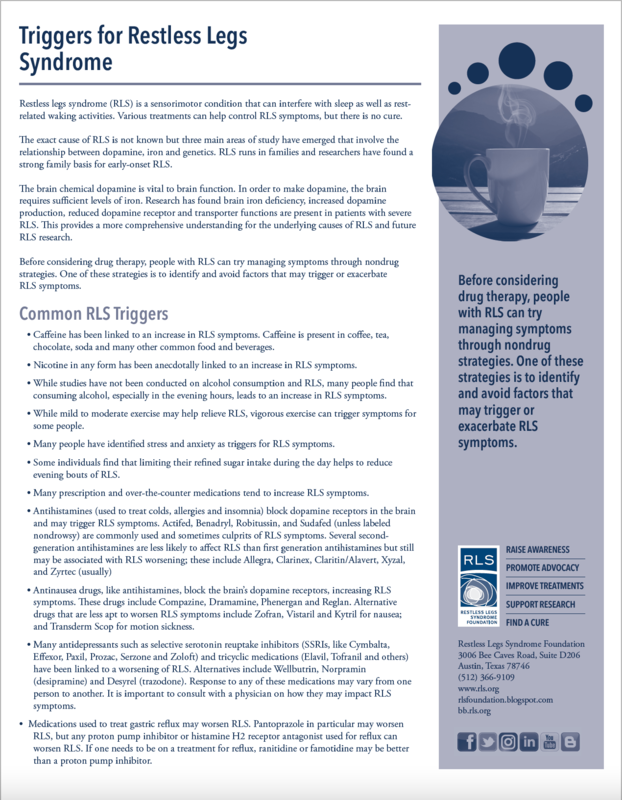 The RLS Triggers handout available to Foundation Members includes information to help identify common triggers. Become a member today to access the online library of publications and updates with the latest advances and treatments, all while supporting research toward a cure. 5. I suspect that my child may have RLS. Is this possible? 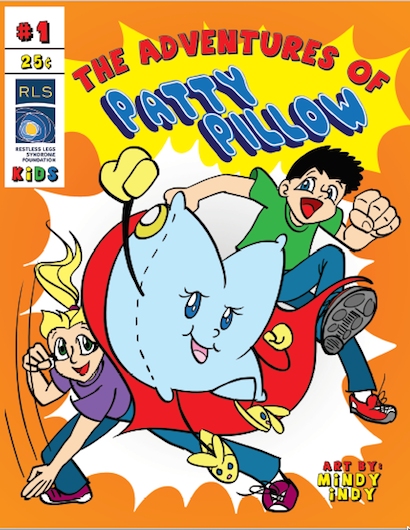 RLS can occur in people of any age including children. Research suggests that RLS affects an estimated 1.5 million children and adolescents in the United States, and confirms that RLS and Periodic Limb Movement Disorder (PLMD) are not unique to adulthood. While RLS is most often diagnosed in middle-aged individuals, adults can usually trace their symptoms back to childhood and often remember hearing things like "those are growing pains" or "quit wiggling so much." Evidence connecting RLS and attention deficit/hyperactivity disorder (ADHD) is growing. 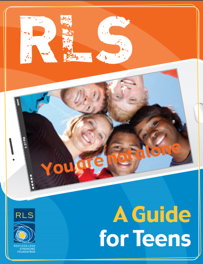 For more information, please consider becoming a Foundation Member to download our RLS and Children and RLS & Teens guides. As a member, you will receive the latest news on advances and treatments, all while supporting research toward a cure. You may also wish to view our Children and RLS Guide for Healthcare Providers brochure, which is available for download below. Inside: A Guide for parents of children diagnosed with RLS. Inside: A simple to understand look at living with RLS for school age children. RLS is familial in about 50 percent of affected individuals which is consistent with a genetic origin. It also may be idiopathic or related to acquired conditions such as iron deficiency anemia or chronic renal failure. Several predisposing candidate genes have been identified through genome wide association studies. 7. Is there a known cause for RLS? RLS often runs in families. This is called primary or familial RLS. Researchers are currently looking for the gene or genes that cause the disease. RLS sometimes appears to be a result of another condition, which, when present, worsens the underlying RLS. This is called secondary RLS. Up to 25 percent of women develop the disease during pregnancy but symptoms often disappear after giving birth. Anemia and low iron levels (ferritin) frequently contribute to a worsening of symptoms. RLS is very common in patients requiring dialysis for end-stage renal disease. Damage to the nerves of the hands or feet (i.e., peripheral neuropathy) from any number of causes, including diabetes, contributes to RLS. Attention deficit hyperactivity disorder (ADHD) is common in children and adults with RLS. You can download our free Causes, Diagnosis and Treatment brochure for more information. Inside: Detailed information on the symptoms of RLS, possible causes and available treatment options. 8. Are there exercises that can help alleviate symptoms? Exercise can be used to reduce RLS symptom severity. In 2006, a small study found that a combination of moderate aerobic exercise and lower-body resistance training three days a week reduced symptom severity by about 50 percent. The study found that it took six weeks to see maximum benefit from the exercise program. In general, people with RLS have reported that moderate exercise seems helpful and that strenuous exercise may worsen symptoms. You can also learn more by becoming a Foundation Member today for access to our Activity, Exercise & RLS handout. As a member, you will receive updates on the latest advances and treatments, personal success stories from other members in the “Bedtime Stories” section of our quarterly Nightwalkers newsletter, and more. 9. 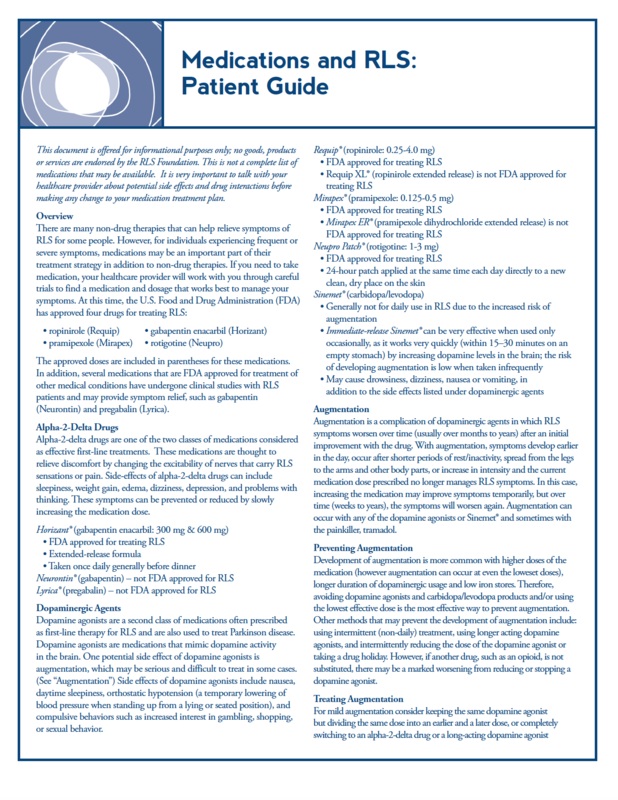 What are the side effects of RLS medications? Each medication you use carries a risk of side effects. Inside: Our most comprehensive resource on RLS—to share with your healthcare provider. Inside: Medications are used to treat both acute illness and chronic diseases. Learn how drugs work and interact with foods. 10. Where can I find a list of support groups/contacts in my area? Please visit our Support Groups page for a list of support groups or contacts near you. No group in your area? Find online support with our Discussion Board or start a new support group. Download a Volunteer Application from our Support Groups page and find out how you can get involved and support others in your area with RLS. Download our most popular patient publication, Causes, Diagnosis and Treatment for the Patient Living with RLS; it’s our gift to you! If you prefer a paper copy, call us at 512-366-9109 or send us an email. To receive the most up-to-date and comprehensive information, join us and become an RLS Foundation member. You will receive our quarterly printed magazine, NightWalkers, which features up to date information on new treatments and cutting edge research, as well as answers to reader questions from top RLS specialists. In addition, you can sign up to receive our monthly online newsletter, eFriends. Together, these two publications will keep you knowledgeable and informed about breaking RLS news. Your membership supports research toward improved treatments and, ultimately, a cure. We have many publications to share with your healthcare provider. For a complete listing of RLS Foundation publications, click here. 12. How can I help? all while supporting research toward a cure! and improving the lives of those living with RLS.